Yes, this is yet another report about what Care2 writer s.e. smith called an epidemic of shootings by toddlers. A 3-year-old allegedly shot a 3-year-old girl last Tuesday in Asheboro, North Carolina. No adults were in the room where the two were playing when one toddler shot the other with an unsecured .22-caliber rifle, Randolph County deputies say. “We’re unsure if they were playing with it or if they picked it up and the gun went off,” sheriff’s captain Derrick Hill comments. William Monroe Simmons, the father of the girl who was shot, has been arrested as has his girlfriend, Melisa Ann Mumpower. Each has been charged with three counts of misdemeanor child abuse, one count of felony child abuse and one count of failure to properly store a firearm to protect minor. The misdemeanor charges were “related to living conditions at the home,” according to deputies. Mumpower told authorities that she was cleaning in the house when she heard a shot fired in another room. On entering it, she found the girl shot in the arm; the bullet also went into the girl’s abdominal area and she was taken to Wake Forest Baptist Medical Center. Both Simmons and Mumford were arrested while at the hospital. A $35,500 secured bond has been posted for Simmons and a $6,300 secured bond for Mumpower; they are being held at the Forsyth County Jail. The rifle belongs to Simmons and had been in the living room, where the children had access to it. Deputies also found other firearms in a gun safe in the house’s living room. What Happened to National Gun Reform? The one-year anniversary of the Sandy Hook tragedy is happening on December 14. Gun reform seems to have slipped from the national public agenda, though not at a local and state level. At the start of November, the California city of Sunnyvale passed a strict gun control measure that requires gun owners to report a theft of a firearm within 48 hours, to lock up their guns when they are not being used and to get rid of magazines that hold more than 10 rounds. New York governor Andrew Cuomo has proposed a tough gun control law that would broaden the definition of what is considered a banned assault weapon, reduce the size of permissible gun magazines to seven rounds and could end up forcing firearm manufacturers to relocate to other states (Texas, South Carolina). A Colorado state senator, Evie Hudak, resigned last week rather than face a possible recall election for her support of gun control legislation. Two other Colorado Democrats who were also strong supporters of gun legislation had been ousted in recall elections in September. Rather than be the reason that her party lost its 18-17 majority in Colorado’s State Senate, Hudak resigned, enabling Democrats to choose her successor. In North Carolina, the 3-year-old girl who was allegedly shot by another child her age has undergone surgery and is now recovering from non life-threatening injuries. A third young child aged 12 to 18 months was also in the house at the time she was shot. The child who allegedly used the firearm and the third young child are now in the custody of Randolph County Social Services — in the care of the state. 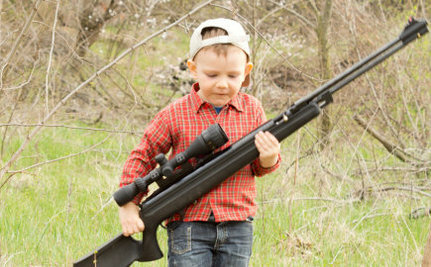 Gun owners who keep insisting that the government not meddle with their guns should realize that, if they’re not careful about keeping their guns secured and safely locked away, the government could have no choice but to take custody of their children. very sad for the families! Teresa, I have no quarrel with your mentioning the Poles and their contributions in WW2. Canadians were also heavily involved and I personally know vets who were in both places including a cousin who died. I have every respect for the Polish fighters. My point was the US didn't win the war alone. As for the liberation of Holland, haven't you heard of General Stanislaw Maczek's tank division??? Linda, it was POLES who cleared the way to Rome! I trust that most americans will remember the you Helped win the war.even if you did come in2 years late.you did not win it all by your self , you helped.